Birds have three options when it comes to adapting to temperatures well below zero, says naturalist Brian Keating "migrate, hibernate, or tolerate." I am now in Ottawa where the temperature is -25 with a wind chill of -45. The snow has not stopped. It is the coldest winter in history. Sitting next to a cozy fire I gaze outside and am amazed at the birds flocking to the feeder. How can they possibly keep warm? This is resilience at its best. City creatures surviving under extreme conditions. I learned that birds eat fatty foods and huddle together at night and may enter nightly hypothermia, sometimes under the snow. Some remember where they have stored caches of food and in the case of chickadee's their hippocampus, the part of the brain responsible for memory and spatial organisation expands by 30% in the fall to allow them to find their food. Waterfowl have a counter-current blood-warming system to prevent their feet from freezing and are able to survive up to 20 hours without access to food, even in extreme cold. Others have specially designed esophageal pouches allowing them to hold on to seeds, and digest as needed. Akin to throwing logs on a fireplace. And of course there are those that simply fly to warmer climes. This week I invite you to reflect on when the going gets tough what do you do? Seek out a tub of ice cream? Commiserate with friends? Avoid it? or adapting and confronting? 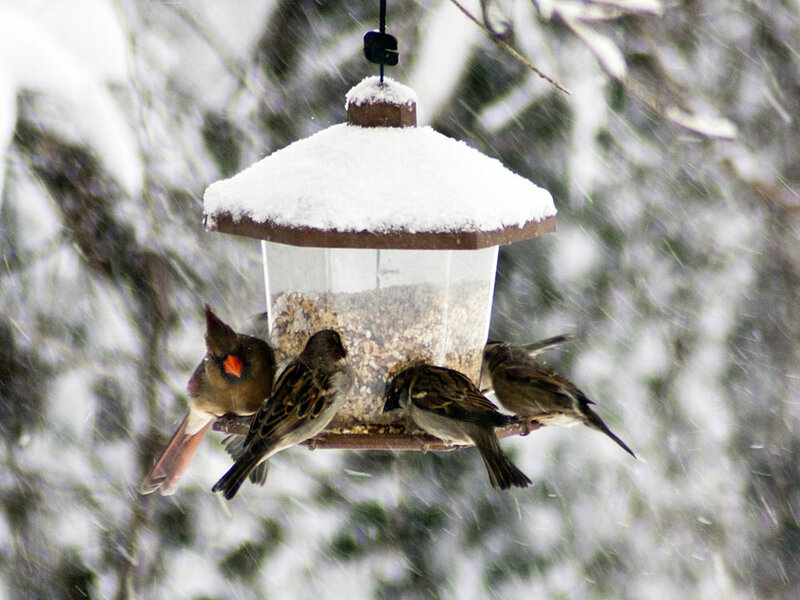 Whatever strategy you use, be inspired by those little birds.